SriLankan Airlines Avios Redemptions Online! SriLankan is a airline based in Colombo, which recently joined oneworld just a few days ago. I’m looking forward to flying them sometime soon, because they have a decent route network to Europe, SE Asia, and the Maldives. It’s also great to position for ex-Colombo fares (such as the recent Etihad one). 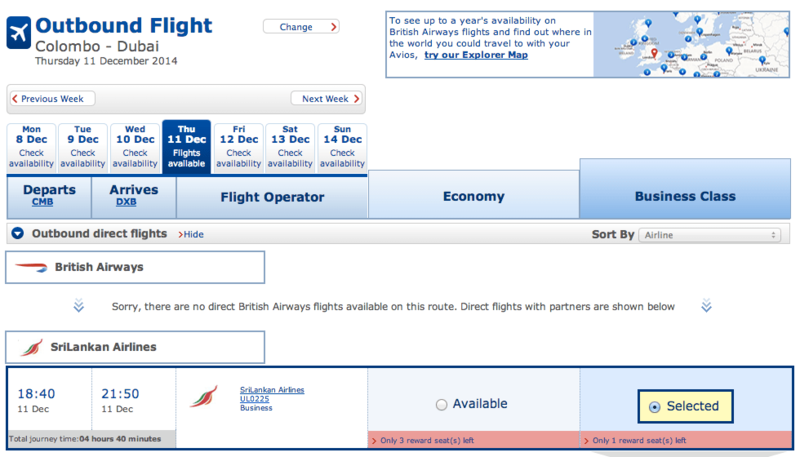 You can now see award availability for SriLankan on the British Airways site. I’ve taken a quick look, and unfortunately award space is pretty crappy. 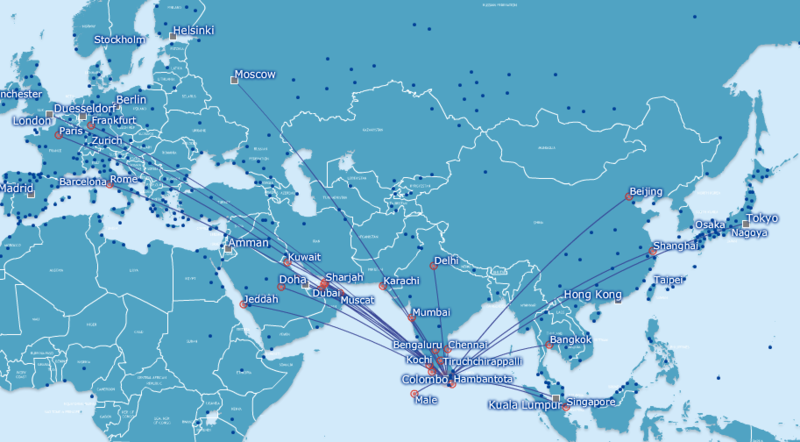 They’re only releasing one business class seat on their routes to SE Asia and the Middle East, and only economy space on their Europe routes and the Maldives. 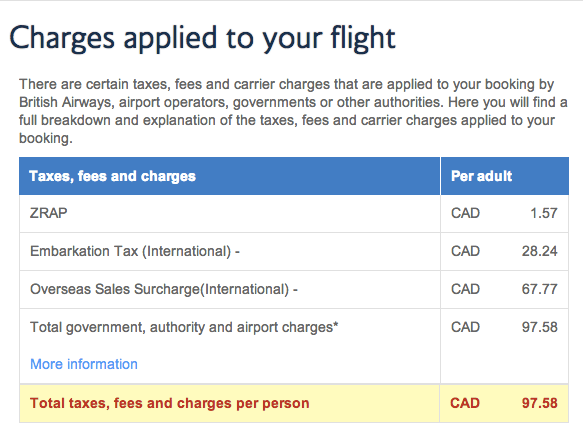 Furthermore, Avios for the most part is adding what fuel surcharges would be on an award ticket, but it seem a bit higher. 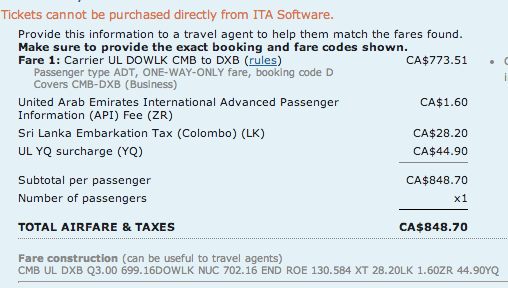 This is what ba.com shows for the taxes and fees breakdown for the Colombo – Dubai flight. This is higher than the ITA matrix breakdown. 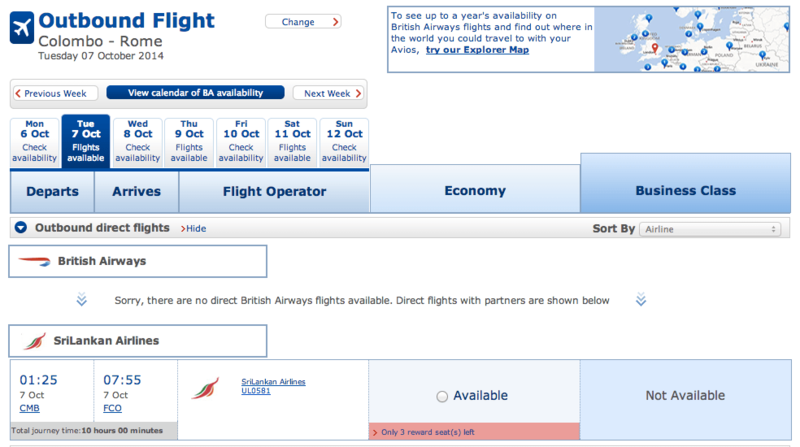 But other than that, it’s going to be great to use Avios for travel within the Middle East. The real value lies in the flights that are below 25,000 avios, as that unlocks a lot of possibilities for the one-way direct flights within the middle east, as long as the fuel surcharge and award space situation improves. As well, these flights should also be bookable with other oneworld ffp’s, including American and US Airways, which should not charge fuel surcharges. Colombo is under Asia 2 for the American award chart, opening options for heading to Sri Lanka. Sri Lanka is not in The Middle East 🙂 It’s part of South Asia 🙂 Great post though. I assume Chennai and Tiruchirapalli are also 4500 Avios?